Alfred is an awesome tool. Like the Windows key on Win8, you can hit a keyboard shortcut (cmd-space by default) and type an app name or other command. Super handy. iTerm2 is a replacement for the terminal. The best thing about OS X is that it has a great UNIX command line alongside a nice GUI, and iTerm2 makes the terminal even better. Don’t forget to configure and use the global terminal hotkey. So handy! Spectacles lets you control your windows with the keyboard. So handy, especially on my Air with limited screenspace. Sublime Text 3 is my go to text editor on every platform, and especially Mac. Favorite features include cmd-d (to select multiple matching text ranges and edit them simultaneously) and using the subl command line tool to open folders/files from the terminal. Oh My ZSH! is a great upgrade for your terminal. Maintaining your own custom config is even better… but as a default setup it’s pretty good. RVM is a good way to get assorted Rubies install on your system. Ruby is handy but it suffers from versioning hell. RVM can help, sometimes. The GitHub app is also mega handy. No replacement for command line but it simplifies auth and basic commit/branch switching. There are also some miscellaneous things you probably need to do: get the latest git, possibly install brew and ports (but I find more and more I prefer to compile and install from source), get all the latest updates from the App Store, and install XCode 5 (from the App Store these days). You might need CMake for Loom builds, along with Android SDK and Android NDK. We like to use the HipChat app for communication amongst our team. What are you going to do about it? Is it that new code the intern landed? Is it the operating system’s fault? Misconfigured hardware? Or even, god forbid, a bad algorithm? Your thoughts run to that bloated subsystem. You know the one. It’s complicated. You’ve had your eye on it for a while. It would be so sweet to refactor it. Take some of those algorithms down to O(log n) and add some caching. Get it running really sweet. All that code. It’s got to be it. So you spend all day and a long night crunching on it. Getting it all working right. You spend some time tracking down bugs and adding a few previously unneeded features. You get it all working, check it in, and sleep till noon. You head back into the office to be greeted by… silence. One key got skipped: measuring. I’ll often start at the root of my application and manually add blocks like these until I can identify the specific section which is problematic. There are lots of fun variations on this idea – for instance, having a time threshold under which no output is printed to cut down on spam, or keeping track of averages/min/max, or even automatically profiling every function in your codebase (my game engine, Loom, does this – try profilerEnable and profilerDump in the Loom console!). Humans are actually VERY perceptive about fast changes in their environments. 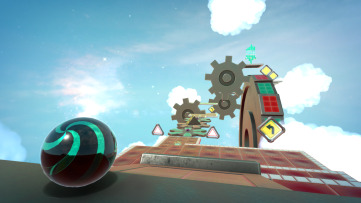 VR helmets induce motion sickness if they are more than a dozen milliseconds behind the head’s actual motion. Hearing is dependent on detecting changes in movement that are far less than a millisecond in duration. So when you’re working on performance, eyeballing it should be plenty good, right? Not true! People aren’t very good at remembering a specific arbitrary interval (say – 150ms vs. 100ms) and recalling it later. So when you’re optimizing load time and you shave 10% off of your 3 second load, you might not even notice that it’s faster. If you’re tired and grumpy, or just distracted, you might even think it’s slower! It’s much easier and more reliable to just time it and keep some simple notes on your changes and what they did to your metric. Now all you have to do is iterate. Try something. Try ten things. Measure after each one. Make hypotheses about what might be slow and try to remove it from the equation to see if it really IS your bottleneck. 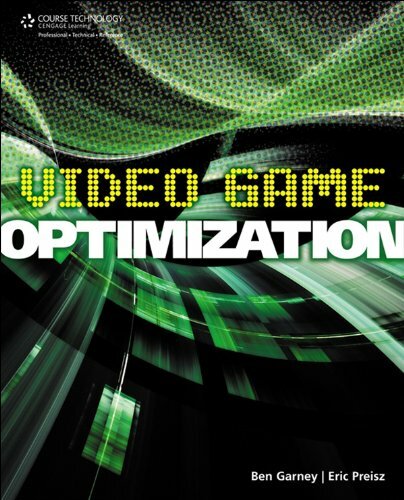 There’s a whole science here – check out my book on video game optimization for a full discussion – but once you are able to measure progress you will be able to move forward. I love clear terminology. It’s the engineer in me. This post is about some self-perpetuating terminology that confused me as a new developer. The confusion centers around functions named draw() or renderFoo(). As a new developer, you get excited – “Ah hah!” you think to yourself, “I am about to see something cool go down here.” So you pop open the function, and it’s setting the x coordinate or changing a color on some other data structure. “WTF! There’s no drawing or rendering happening here!” you say, disgusted and confused. Or worse, you assume that changing those values has any immediate effect beyond altering a few bytes in memory – and ascribe magical behavior to that section of the code, corrupting your ability to understand and debug. The reality, of course, is that the actual drawing – in terms of commands to change pixels on the screen – is happening elsewhere, deep in the bowels of some fanatically optimized inner loop (you hope). The draw() function is just updating some data that is used elsewhere. It’s not drawing anything, any more than telling your painter what color you want your bathroom is painting. That’s why I try to name them things like update(). But naming functions update() where the conspiracy gets ahold of me. I’ve already been disappointed by functions named draw and render, that don’t do either, for years. I’ve become cynical. “Well, everyone knows you don’t ACTUALLY render anything in your render function. It’s just a state update. It’s this code’s perspective on what rendering means.” And due to this etymological relativism, I write functions called renderToast that don’t really have anything to do with displaying charred bread products. What’s the moral of this story? The trivial one is “name stuff accurately.” But the rot has already set in, and language is situational and metaphoric. So the real takeaway is for those who aren’t on the “inside” of the conspiracy, a warning – things aren’t always what they seem. Don’t trust that draw function until you really know what it is doing. Always read the whole codebase! Deep nesting is a pet peeve of mine. I’m going to show you what deeply nested code is and discuss some strategies for keeping things tidy. It’s my opinion that deep nesting is a sign of sloppy code. // Yes, In-App Purchase is enabled on this device. // Proceed to fetch available In-App Purchase items. // Initiate a product request of the Product ID. // Notify user that In-App Purchase is Disabled. This code is hard to understand. It’s hard to understand because error handling is distant from the error checks (for instance, the check for nil is at the beginning but the error and return are at the end!). It’s hard to understand because the important parts are deeply indented, giving you less headroom. If you want to add additional checks, it’s hard to know where to add them – and you have to touch lots of unrelated lines to change indent level. And there are many exit points scattered throughout. GROSS. Whenever I see code like this I cringe. When I get the chance, I like to untangle it (or even catch it in code review). It’s soothing, simple work. To be sure, the functionality of the code is fine – it’s purely how it is written that annoys me. Check for nil productId; bail if absent. Log productId if it is present. Check if we can make payments/IAP is active; bail if not. Submit the product info request. The code and its “flowchart” now match up nicely, and if you modify one, it’s easy to identify the change in the other. This might seem like a little thing, but I find it shows that the purpose + structure of the function is well set up. And if you can’t write the function without violating this rule, it’s often a very solid clue you need to introduce some more abstraction – tactics such as breaking stuff up into helper methods, reorganizing your data structures a little bit, centralizing lookups/checks, and so on. Something to keep in mind next time you find yourself hitting tab more than a couple times – flatten your conditionals! Author Ben GarneyPosted on May 11, 2013 Categories Code, How To, Opinion4 Comments on Flatten Your Conditionals! Are you a fan of Ludum Dare? I’ve loved watching it for a long time. The huge community of excited developers is fantastic to watch, and some great games come out every time. More than that, LD is a great opportunity. In fact, such a good opportunity that we’re giving LD participants a huge deal on Loom (but more on that later). The incredible opportunity in an event like LD is that it gets you to finish something. It’s so common for projects to run on and on and on and on… Professionally, you could work in AAA games for a decade and only ship a few games. Imagine being a professional painter and only making 10 paintings in your whole career. There are big lessons you only learn when you finish. Like – was the feature you spent 80% of your time working on what made the game fun, or was it the feature you added at the last minute on a lark that made the whole game work? Is your gameplay immediately understandable? How much is your fun driven by content vs. gameplay? What dumb things kept people from enjoying your game (like missing DLLs, unclear instructions, installer issues, and so on)? What REALLY goes into the last 20% it takes to ship? You also get the big endorphin rush of release! It feels GOOD to ship. Even if you decide the project was a failure, completing it is good. You can put it on the shelf and refer to it later. And it’s motivating to know you’ve gotten something DONE and don’t have to think about it any longer. It’s easy to get stuck in the doldrums of project creation. You end up going around and around creating new things on new tech. It’s shiny and in some ways fun, but you never experience the growth and maturation that comes from shipping and sharing your creation with the world. Shipping – even something small – gets you out of that rut. Take some time and participate in Ludum Dare 26. Creating and finishing a small game project is one of the best investments you can make in yourself – not just as a game developer but as a professional. It’s easy to overlook how valuable this can be. And of course – Loom is a great fit for making small games fast. Through LD26, use the code GO_LD26 to get 50% off all Loom subscriptions. Get Loom and go make something cool! You may have wondered what I’ve been up to since PushButton Labs and PushButton Engine. 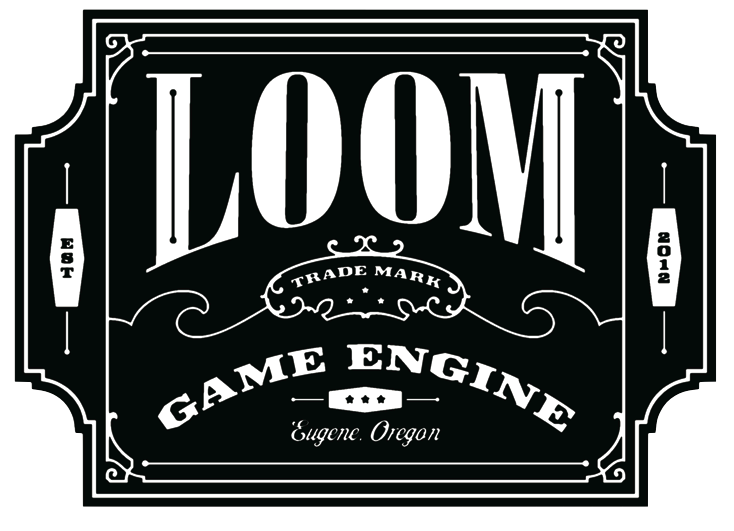 Nate Beck, Josh Engebretson, and I are proud to share our latest creation, the Loom Game Engine, with the world. It’s a native mobile game engine with live reloading of code and assets, a great command line workflow, and a powerful AS3-like scripting language. We’re giving away Loom Indie Licenses (normally $500) for FREE until Mar 29, the last day of GDC. We’ve already given away almost $2,000,000 in licenses. Get yours now! TCP is the worst abstraction. Let’s talk about springing leaks. Just like when your upstairs neighbor’s toilet springs a leak and you have to deal with the concrete realities that a high flow water source above your bedroom ceiling introduces, springing leaks means you can’t use your abstraction anymore – you now have to work with the underlying system, often at one remove (or more!) because you’re working through the abstraction you chose to shield you from this in the first place! If you send too much data at once (the OS buffer fills and the write fails; you then have to resend). If you send too little data at a time (the OS will sometimes fix this for you, see Nagle’s Algorithm, which can be good or bad depending on when that data needs to go over the wire). If you try to read too much data at once (again, the OS receive buffer has limited size – so you have to be able to read your data in chunks that fit inside that limit). If you transfer data at the wrong rate (the TCP flow control rules can be a problem). If you try to read too little data at a time (then OS call overhead dominates your transfer speeds). If you want to assume data has arrived (it may not have, you have to peek and see how much data there is and only read if there is enough, which necessitates careful design of your protocol to accomodate this). If you are on a lossy network (it will incur arbitrary overhead resending lost data). If you want to manage latency (you have to take care to send data in correct packet boundaries). If you want to connect through a firewall (good luck with that one). IMHO, TCP is an abstraction in name only. If you want to get any kind of decent results from it, you have to fully understand the entire stack. So now not only do you have to know everything about TCP, you have to know everything (or at least most of it) about IP, about how the OS runs its networking stack, about what tricks routers and the internet will play on you, about how your protocol’s data is set up, and so on. It’s very very simple and it maps almost directly to what the Internet actually gives you, which is the ability to send and receive routed packets from peers. These packets aren’t guaranteed to arrive in order nor are they guaranteed to arrive at all. In general they won’t be corrupted but it would behoove you to check that, too. This is primitive, like banging two rocks together! Why do this to yourself? Well – it depends. If you just need to create some basic networking behavior and don’t care if it’s subpar, TCP works well enough, and if you have to, you can get it to sing for certain situations. And sometimes TCP is required because of firewalls or other technical issues. But if you want to build something that is native for the network, and really works well, go with UDP. UDP is a flat abstraction. You have to take responsibility for the network’s behavior and handle packet loss and misdelivery. But by doing so you can skip leaky abstractions and take full advantage of what the network can do for you.